It happens to the best of us. You go to click a link, thinking it’s exactly what you were looking for, then—BAM! You’re facing a page with a glaring 404 on it, not the awesome content you were hoping to discover. This is a common occurrence in e-commerce websites especially. As old products are phased out and removed from your website, the links leading to those obsolete products don’t disappear on their own. Servers use a variety of three-digit codes to communicate with each other. These codes are referred to as HTTPS status codes and relay information from the user’s browser to the target website’s server. This allows the requested information to be sent back to the user’s browser. Code 404 occurs when the browser successfully connects with the target server, but the information requested could not be located. When this happens, the user will see a 404 error message (e.g. 404 Not Found, HTTP 404) on the screen rather than the content they were hoping for. This message commonly occurs in e-commerce websites with products that have been removed from the store. It can also happen to other content pages that have been deleted. Though having a 404 error won’t dig your SEO, it can affect your rankings if you have an abnormally large number of 404s over a short period. This is why it’s critical for you to seek out these errors as they occur so you can take the proper action. If you’ve ever clicked on a link only to be met with a 404 error message, you know how frustrating it can be. Your first thought may be that the company doesn’t maintain their website. You may wonder how current their website is or question their reputation. If they leave you with the message and no other course of action, you may feel inclined to bounce altogether. 404 messages often act as stoplights for sales. Because the user can’t access the product they wanted, they can’t purchase it. And if you’re not proactively presenting other items or recommendations, you may lose a customer. Don’t let the dreaded 404 error prevent you from deleting content on your website. Sometimes, it’s necessary to remove defunct pages to free up space or clean up the user experience. But beware: when you do, you should also plan to find and fix 404 errors before they become someone else’s problem. To start, crawl your entire website to find every 404 error. Use link spider tools like Xenu to crawl your content and report its findings. You should can also check your Google Search Console profile to view 404 errors. Once you know where these errors exist, you can begin to fix them. In the Google Search Console, you’ll see two types of 404 errors: soft 404’s and Not Found errors. Soft 404’s are when your site tells the user the page doesn’t exist, but they’re reporting a 200-level error code. You need to make sure these pages are returning the proper 404 error code if they don’t have a clear replacement page. 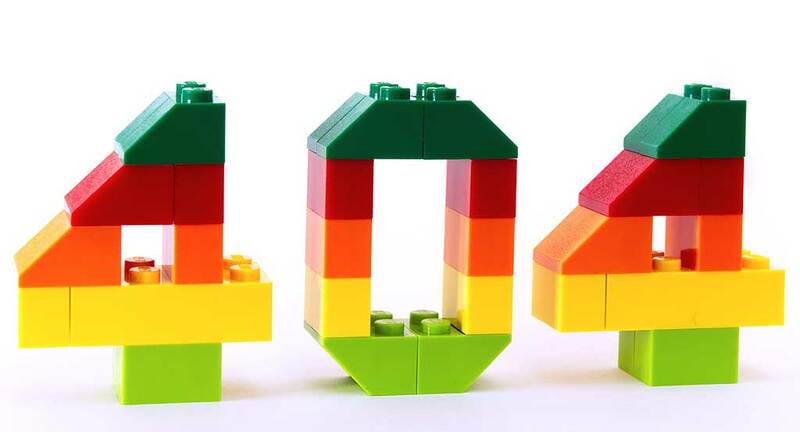 404 Not Found errors are used for pages that used to exist but have been removed. If you have pages like this, you could be missing out on some key benefits. The pages have been crawled and indexed by Google. They may have driven traffic to your website or otherwise helped your search rankings. You can use Google Analytics to see if these pages are still driving traffic to your website. If so, you may want to replace the page or redirect users to a different (yet relevant) page. Otherwise, you’ll continue to miss out on the benefits of the old page bringing new traffic in with no way to capitalize on it. Keep in mind that 404 error messages do have a purpose, even to the user. There are ways you can use these pages to your advantage, namely in creating a better user experience. For example, 404 error messages don’t have to look the same across websites. The ones of years past were filled with text and jargon and weren’t engaging to look at. But now, you can customize your error page to make it fit within your brand (Pixar does this beautifully). If the error was due to a product being removed, you may want to direct them to a similar product or product page. You could also provide a search feature on the page to help the user find a similar product or content. Also, make sure the user can continue their experience from your page instead of having to click the Back button in their browser. The 404 was enough of a disruption, so make it easy for them to keep moving forward and reduce your bounce rate. However, make sure you don’t just replace the removed content with something that doesn’t relate to what the user expects to find. Businesses do this just to have something on the page, but this can be confusing to the user if the product isn’t relevant to what they came for. At Glendale Designs, we believe in having a fully-functioning, highly-optimized website. 404 errors don’t just slow down your users, but they also slow down your business. Let us help you perform a website audit to identify and correct 404 errors to preserve your site’s integrity. Our team can help you create custom 404 error message pages that fit with your brand and improve your user’s experience, helping you turn roadblock into a salvageable sale. Schedule a call with our team and we’ll help you ensure your website is running at full capacity with no content gaps that could jeopardize your sales.